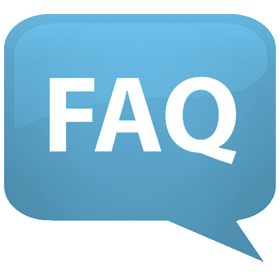 We know you might have some questions, but fear not we have created this list of our most frequently asked questions. Click each questions to reveal the answer. If you still do not find your what your looking for contact us and we will answer your question(s) in a timely manner. Who knows maybe we can even be friends! How does the Shaving Cream dispense? The Shaving Cream dispenses from the handle at the opposite end of the blades. Simply give your ShaveMate Titan or DIva a shake, twist the locking cap counter clockwise to the “ON” position, hold cap side up, push cap down with any finger to dispense Shaving Cream. Cap may be twisted back to lock or “OFF” position when not in use, or to prevent activation when traveling. How many Shaves does the ShaveMate Titan and Diva give before the Shaving Cream runs out? ShaveMate's Shaving Cream is designed thick so a little goes a long way; you just need to use a small amount for shaving. 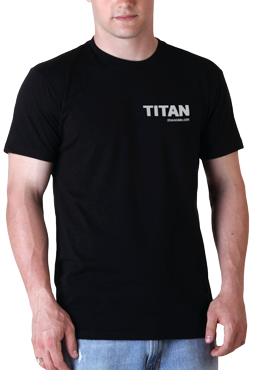 Titan or Diva shaving cream can last up to a week or more of great shaves! Can I bring my ShaveMate Razor on the Airplane with my Carry On? Yes, ShaveMate Titan and Diva were designed with the busy traveler in mind. As of current regulations, ShaveMate Titan and Diva are allowed in carry-on bags or checked luggage. How does the Clear Blade Guard come off? To remove the Blade Guard, hold your ShaveMate blade side up facing towards you. With your opposite hand’s thumb and index finger, grab the clear cover on the sides and pull downward toward the handle. The Blade Guard can be replaced if desired by carefully placing the cover at the bottom of the blades and pushing it upward until you hear a click. How does the Shower Hook install? The ShaveMate's Shower Hook is easy to install, simply peal off the protective paper exposing the sticky tape, and make sure the hanging tab is at bottom and level. Push onto any flat surface where you want to hang your ShaveMate Razor. Furthermore, the Shower Hook can be installed in areas that get wet and can be removed without leaving tape residue. Are ShaveMate Titan and Diva Razors Refillable? No, The ShaveMate Titan and DIva are consumable and disposable. After the shaving cream runs out just dispose and start using a fresh razor. Where can I purchase the ShaveMate Titan and Diva locally? Currently we are only selling ShaveMates via this website. Don't worry since you are buying directly from the Manufacture so you are guaranteed the best price! For the best results; Wash your face first. Make sure your skin is thoroughly wet before applying the shaving cream. Shaving in the shower is also recommended because the steam and moisture tends to soften the hair. Remember, ShaveMate shaving cream is thick and rich so, a little will go a long way. While shaving, rinse the blades often through the Aqua Flow feature that channels the water for easy cleaning. The six blades and Flex-Neck Technology allows you to shave effortlessly in any direction.